Tap fast to make a stronger avalanche! 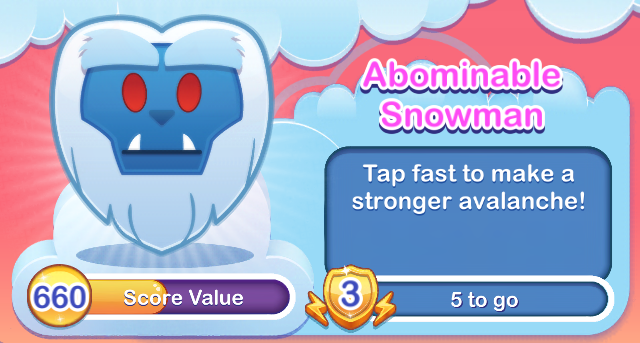 The Abominable Snowman lives deep inside of the Matterhorn Mountain, and would just like people to leave him alone. 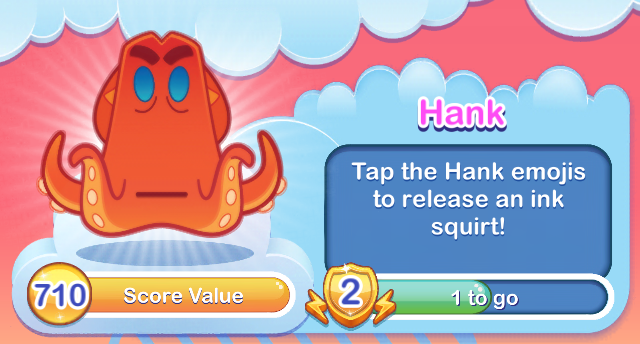 Make him mad by tapping him repeatedly, and he will cause an avalanche to clear emojis from the board. Ghostly heads float up and appear on the board. And now, for his next trick, the Hatbox Ghost will make his own head disappear! 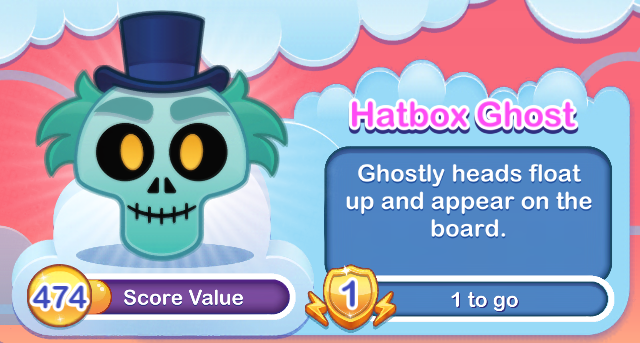 Hatty adds additional Hatbox Ghost emojis to the board, creating the possibility for more combinations and powerups. 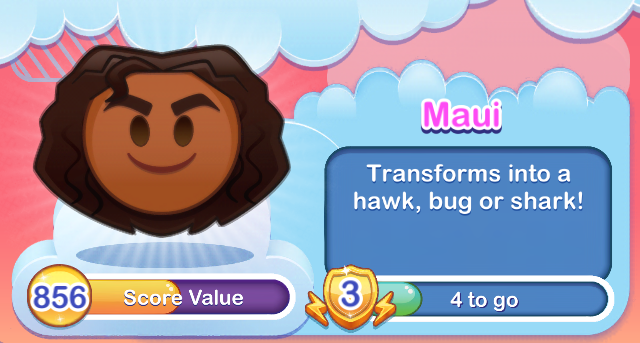 Transforms into a hawk, bug, or shark! Um, yes. Um. Maui. Shapeshifter. Demigod of the wind and sea. Hero of men. 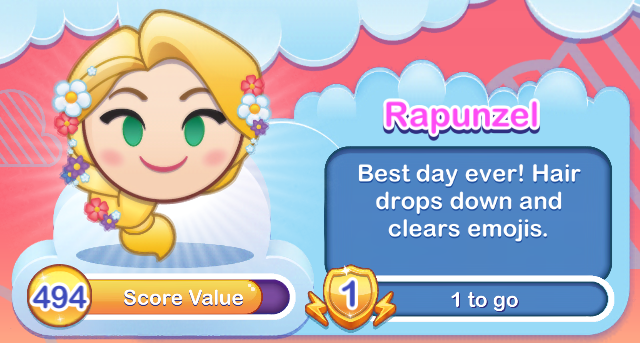 I call forth your mighty power to clear emojis from the game board. Drops in and makes a mud splat. 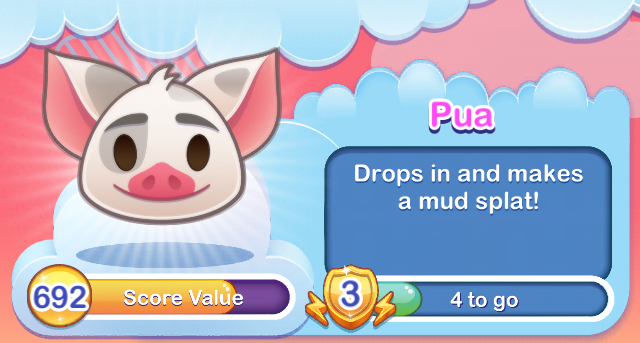 At level 1, Pua clears emojis in the center of the board. As levels increase, additional emojis are cleared in the outside splatter of the mud. 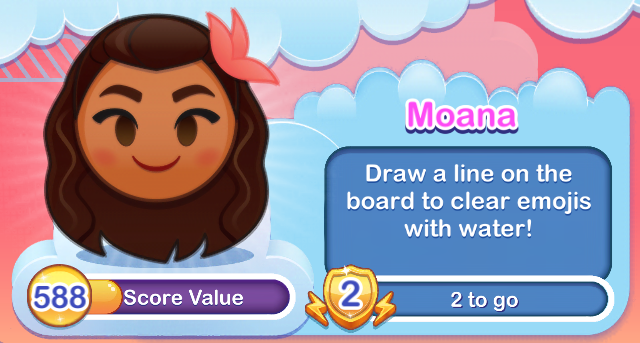 Draw a line on the board to clear emojis with water. Use your finger to draw a line, in any direction, on the board. 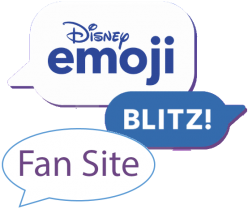 Water will wash away the emojis. You may curve the line, but don’t lift your finger until you are finished drawing. 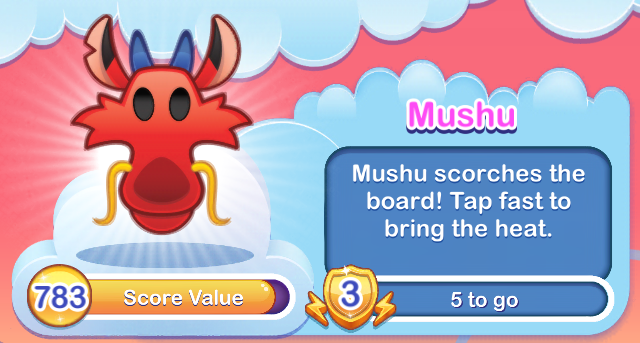 Mushu scorches the board! Tap fast to bring the heat! 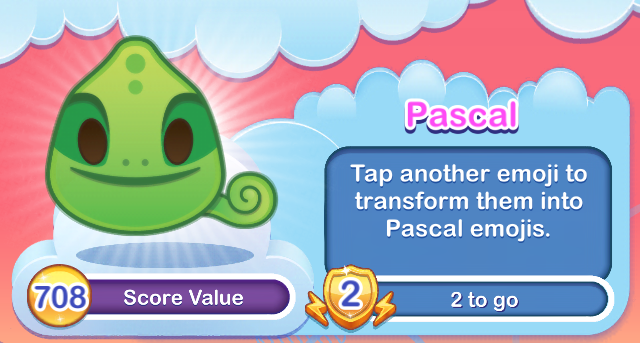 Mushu’s powers are beyond your mortal imagination. Rapidly tap the gong to reach full power before time runs out. Mushu will blast the center column of the board with fire. Skilled swordplay clears and arch of emojis. 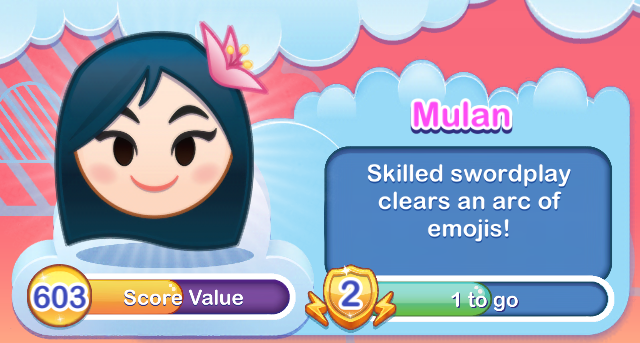 Mulan’s sword skillfully slices the board, clearing emojis in its path.